Kat Von D, the bombshell and brains behind Kat Von D Beauty, announced via Instagram Thursday afternoon a donation of $50,000 (gifted to her by business incubator Kendo) to the internationally celebrated non-profit Mercy For Animals. A social media storm ignited in July when Von D first posted to her millions of Instagram followers about her vegan lifestyle. The story gained even more attention when she responded to comments with a 30-minute YouTube video in which she further explained her strong stance against animal cruelty and her decision not to consume animal products. The video instantly exploded, garnering hundreds of thousands of views. Mercy For Animals, a Los Angeles-based non-profit, is an award-winning and widely acclaimed international farmed animal protection group most famous for its groundbreaking undercover investigations inside factory farms and slaughterhouses. 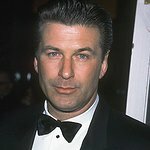 Also known for its far-reaching work with compassionate celebrities, Mercy For Animals most recently teamed up with Emmy Award-winning actor Alec Baldwin to expose the cruelty endured by chickens for Tyson Foods, the largest meat producer in the United States. Television icon Candice Bergen also participated in the hard-hitting campaign.